"Hear Ye! Hear Ye! Be it decreed that all lords, ladies and children shall come and celebrate the 4th Annual Dickens Festival at Stadium, a holiday festival, where Bobbies, Beefeaters and the Queen herself will be on hand to recreate the Victorian London of Charles Dickens. Characters from Dickens novels walk the street. 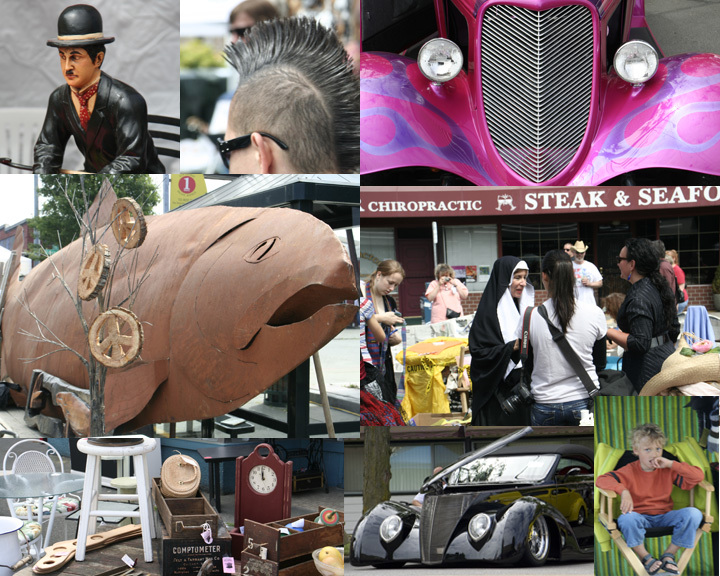 Food and entertainment fill the area with sights and smells that take you back to another era. The festival is named after Charles Dickens whose concern for the poor is reflected in novels about their plight. His holiday classic, A Christmas Carol, is loved by many. In keeping with the mission, the festival plans to raise money for the " New Phoebe House", a residential home with a capacity of 16 adults and 10 children of pre-school ages. Residents learn skills to enhance their parenting, independent living, and employment skills. The festival also supports historic restoration and recognition of historic sites. The festival is held over 10 blocks in the historic Stadium District Saturday, December 13th starting from 11:00am to 6:00pm."